At the start of our car insurance pricing project, we engaged Quadrant Information Services, a private company that collects the mathematical pricing formulas that insurers must file in almost every state. We then created a cross-section of hypothetical policyholders. There were 20 in all, ranging in age from 16 through 75, men, women, some married, some with a teenage driver. The policyholders were assigned the same “base” profile, including a perfect driving record and excellent credit. They bought standard liability coverage: a limit of $100,000 for bodily injury (BI) per person, $300,000 for BI per accident, and $100,000 for property damage. They also bought uninsured/underinsured motorist protection for the same amounts, and collision, comprehensive, and Med Pay or personal injury protection. We put our drivers in popular vehicles, in most cases the Toyota Camry LE (when the policy covered only one vehicle) and a Honda Accord LX for the second car for two-vehicle policies. Using Quadrant’s data, we got quotes for our sample drivers in August and November 2014 from up to 19 car insurers in each state, for all 33,419 general ZIP codes. That included quotes from Amica and USAA, two companies that since the 1990s have consistently rated high for claim satisfaction with our subscribers, plus the largest insurers operating in each state, which usually included Allstate, Geico, Progressive, and State Farm. For companies that had subsidiaries (for example, Allstate Indemnity and Allstate F&C), we used whichever company had the largest in-state market share for most analyses. Then we changed each of the ratings factors of our “base” sample drivers to see how the annual premium would change. For example, we calculated what would happen if the driver had one at-fault accident, or a good credit score instead of an excellent score. 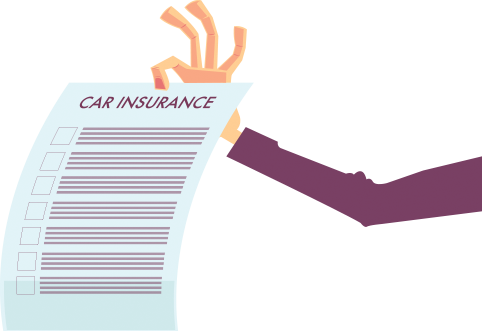 Under the state laws that regulate automobile insurance, carriers are required to adhere to the prices generated by their public rate filings. So the premiums we obtained from Quadrant are what each company legally obligates itself to charge consumers. In other words, our prices are the insurers’ actual prices for the driver profiles we created and the companies we list. Price me by how I drive, not by who you think I am! The price of car insurance should be based on how well and how much we drive. Instead, companies charge based on credit history, shopping behavior and more. Your state's insurance commissioner can do something about that. Take one more moment right now to demand immediate action for fair car insurance. Tweet to @NAIC_News or use our FREE 800 line to call your own state's insurance commissioner. The nation's insurance commissioners set standards for auto insurance and make recommendations to state lawmakers. If they say we need to base rates on how well and how far we drive, not our credit score, our shopping history or our gender, then state lawmakers will take notice and companies will begin to change.